Tutor Perini Corp (NYSE:TPC) was in 13 hedge funds’ portfolios at the end of the third quarter of 2016. 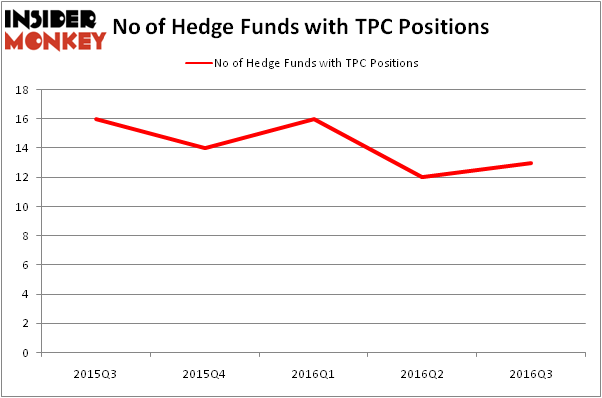 TPC shareholders have witnessed an increase in hedge fund sentiment lately. There were 12 hedge funds in our database with TPC positions at the end of the previous quarter. At the end of this article we will also compare TPC to other stocks including CONE Midstream Partners LP (NYSE:CNNX), HFF, Inc. (NYSE:HF), and Endologix, Inc. (NASDAQ:ELGX) to get a better sense of its popularity. 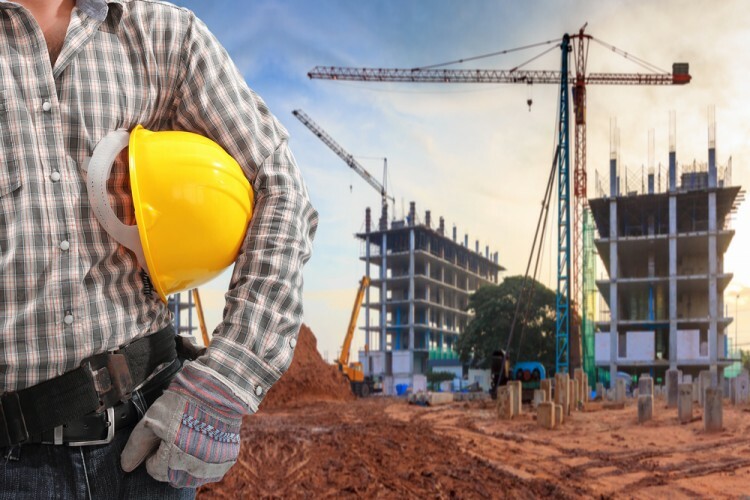 What have hedge funds been doing with Tutor Perini Corp (NYSE:TPC)? At Q3’s end, a total of 13 of the hedge funds tracked by Insider Monkey were bullish on this stock, an 8% rise from one quarter earlier. Below, you can check out the change in hedge fund sentiment towards TPC over the last 5 quarters, which has been volatile, though within a narrow range. With hedge funds’ capital changing hands, there exists a select group of noteworthy hedge fund managers who were upping their stakes considerably (or already accumulated large positions). When looking at the institutional investors followed by Insider Monkey, William Harnisch’s Peconic Partners LLC has the number one position in Tutor Perini Corp (NYSE:TPC), worth close to $25.6 million, accounting for 3.2% of its total 13F portfolio. Coming in second is Israel Englander’s Millennium Management, with an $8 million position. Other peers with similar optimism encompass Cliff Asness’ AQR Capital Management, Ken Griffin’s Citadel Investment Group, and John Overdeck and David Siegel’s Two Sigma Advisors. We should note that Peconic Partners LLC is among our list of the 100 best performing hedge funds which is based on the performance of their 13F long positions in non-microcap stocks. Is Northstar Realty Europe Corp (NRE) Going to Burn These Hedge Funds? Hedge Funds Are Still Buying Novanta Inc (USA) (NOVT) Is Nordic American Tanker Ltd (NAT) A Good Stock to Buy? Should You Avoid Nationstar Mortgage Holdings Inc (NSM)? Hedge Funds Don’t Think Very Highly of Annaly Capital Management, Inc... Is Liberty Sirius XM Group (LSXMK) A Good Stock To Buy?